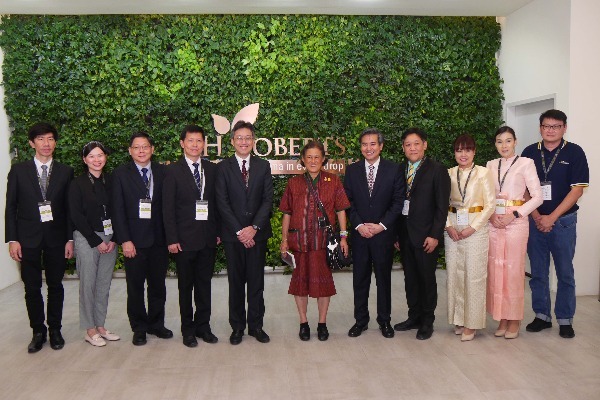 KH Roberts (KHR) hosted Her Royal Highness Princess Maha Chakri Sirindhorn, Thailand at its new state-of-the-art integrated flavour manufacturing facility in Singapore on 19 January 2019. The visit delegation led by Her Royal Highness Princess Maha Chakri Sirindhorn, also includes H.E. Mr. Manopchai Vongphakdi, Ambassador of Thailand to Singapore, Mrs Chua Siew San, Ambassador of Singapore to Thailand, senior faculty staff from Chitralada Technology College, Mahidol University and Kasetsart University. The visit focused on the study of KHR’s successful flavours business in Thailand and the region, strategic partnerships and the implementation of Industry 4.0 elements at KHR’s new integrated flavours manufacturing facility that features automation and integrated smart manufacturing capabilities. Her Royal Highness Princess Maha Chakri Sirindhorn, Thailand was taken on a tour of KHR’s full-fledged flavours R&D centre, dedicated pilot plant space for small scale product development, before being shown how KHR successfully leveraged smart technologies, automation and digitisation at their new integrated flavour manufacturing facility.